Selfies are a 21st-century thing, right? Well, they certainly got popular in the 2000s, but the first selfies were taken way back. Before it was cool. 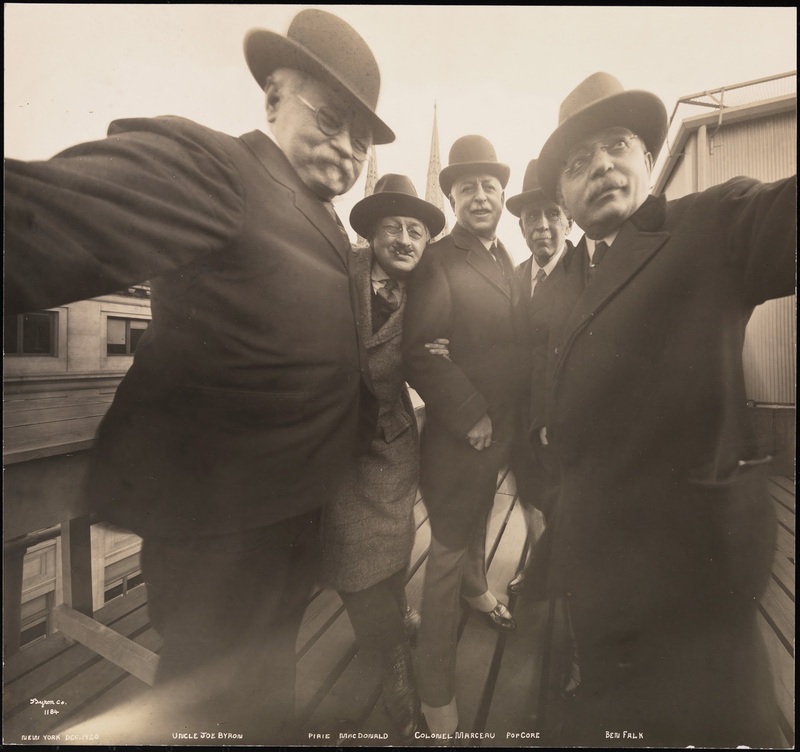 Photographer Joseph Byron may be responsible for the first selfies ever taken, both individual and group. 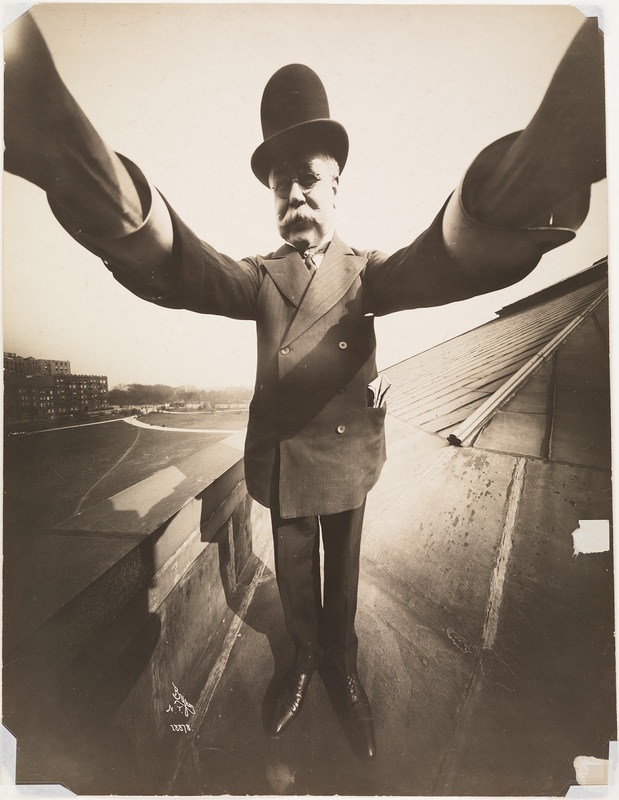 One picture, conveniently titled “self portrait,” was taken in 1909, reportedly on the roof of the Marceau Studio on Fifth Avenue by the company’s founder Joseph Byron. Since cameras were still pretty big at the time, Byron needed both his arms in order to take the picture. 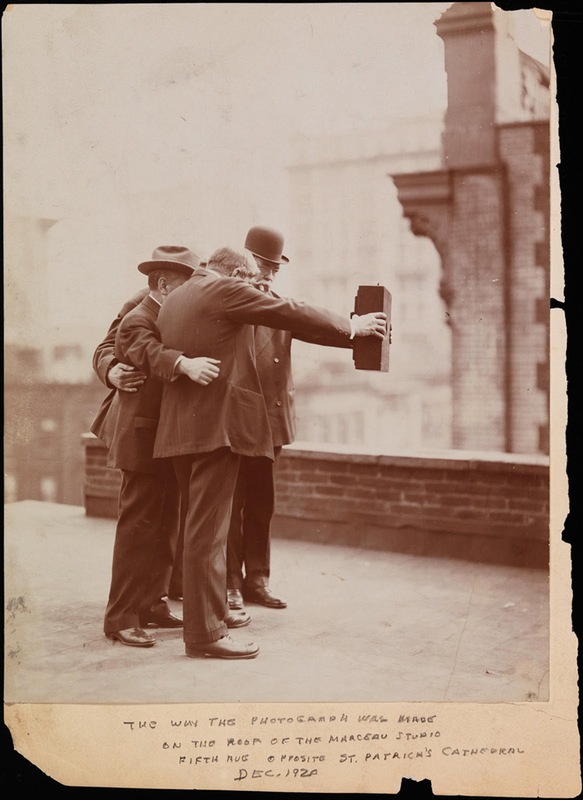 Eleven years later, in December 1920, Byron found himself on the same roof again, but this time he took a group selfie of himself and his colleagues Pirie MacDonald, Colonel Marceau, Pop Core and Benjamin Falk, as someone else takes a “behind the scenes” shot. Joseph Byron is seen holding the camera with his right hand, and performing arts photographer Ben Falk holds the other side with his right hand. So is this the first actual selfie? Some people argue that it was Robert Cornelius who took the first selfie ever. He produced a daguerreotype of himself in 1839, sitting outside the family store in Philadelphia. The back of the photo reads: “The first light picture ever taken”. He took the image by removing the lens cap, then running into frame where he sat for a minute before covering up the lens again. But unlike Byron, Cornelius wasn’t actually holding the camera—and isn’t that a vital selfie element? Joseph Byron was an English photographer, coming from a family of photographers. He immigrated to the U.S in 1888 and opened his photo studio in Manhattan in 1892. The studio named Byron Company was specialized for photographing Broadway shows and other stage productions. And thanks to the 7th and 8th generation of photographers, Thomas and Mark Byron, the studio still operates under the name Byron Photography.